Home » Why use our services? We measure our firm’s success by the results we achieve for our clients. Building upon our ability to create and maintain mutually beneficial client relationships is the hallmark of our business. With over twenty-three years of commercial real estate experience we have worked with many companies both public and private by providing our partners/clients with unsurpassed non-biased advisory services in commercial real estate sales, development, and leasing. Committed and driven to serve in our clients’ best interest is our foundation. LANDLORD REPRESENTATION* in office, land, and site selection properties for lease or sale, commercial real estate development, and commercial real estate property management. Effective July 1, 1995, the North Carolina Real Estate Commission required Agency Disclosure (whom the real estate agent represents) to all parties in a transaction. *Agency disclosure relationship form is required. 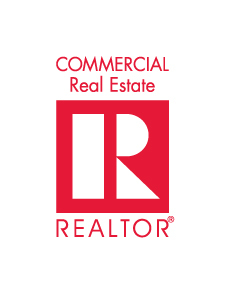 Licensed to practice real estate in both North and South Carolina, we are active members of the Charlotte Region Commercial Board of Realtors, and the National Association of Realtors.